Google has unveiled its second AIY product. If you are unaware, AIY stands for Artificial Intelligence Yourself, and this time around we are presented with what Google calls the AIY Vision Kit. 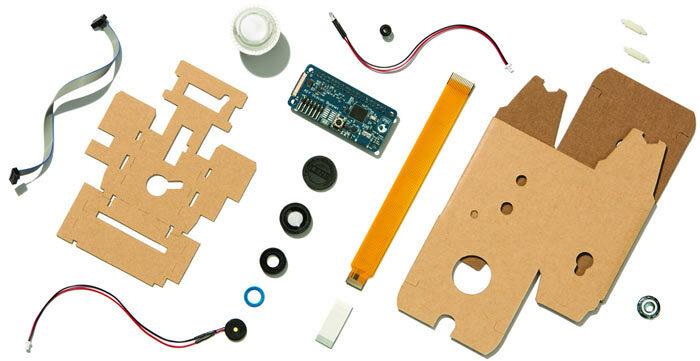 The purpose of this kit is to facilitate the making of "devices that see". 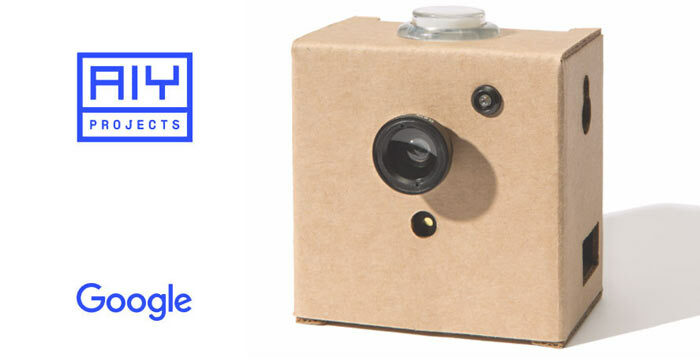 The previously released AIY Voice Kit was a DIY product that allowed purchasers to make a cheap 'Google Assistant' type of device. Google says the Voice Kit was a "huge hit" and has thus it inspired this Vision based follow-up. As you can see the camera plus the on-device neural network acceleration make this device rather smart. The focus of the smarts seems to all stem from image recognition of one sort or other, e.g. recognising objects and pets, recognising people and their facial expressions. Google supplies software that includes three TensorFlow-based neural network models for different vision applications. Interestingly you can also train and retrain models on your computer or any cloud device. For developers there is a Python API to change the RGB button colours, adjust the piezo element sounds and access the four GPIO pins. The major component in the above list is the VisionBonnet board for Raspberry Pi. This board is powered by an Intel Movidius MA2450, a low-power vision processing unit capable of running neural network models on-device. The above kit will retail for $44.99 and it's already up for pre-order at Micro Center in the US at that price. However the kit requires some other components to be usable and these are; a Raspberry Pi Zero W, a Raspberry Pi Camera, and a microSD card. Coincidentally Intel just revealed a deep learning-enabled wireless video camera that it has created in collaboration with Amazon Web Services. It's called DeepLens. that vision bonnet board sounds great, been looking at TensorFlow bu the down side was the neural net was cloud based so you had latency issues for using it on a bot (and it needing a good net connection), being able to do this locally will be great! This combined with the Oculus sensors for full body tracking? No way. Just absolutely no goddam way in hell. Really, who in their right mind is OK with a google camera? An android phone spying on you is bad enough. Google voice assistant was/is already beyond the point at which you'd let google have a presence directly on your network, so why would you be happy with them to have both ears and eyes? It's quite beyond belief that google think people are really stupid enough to …. Ooh shinies! Ah nevermind, I see what they did there.